Hello Waffle just introduced their brand new Greek Gods and Goddesses collection, along with the new lip balms, called WaffleBalms. I knew I wanted to get the collection in full size for the beautiful artwork, but I also couldn't wait to try the lip balm formula. 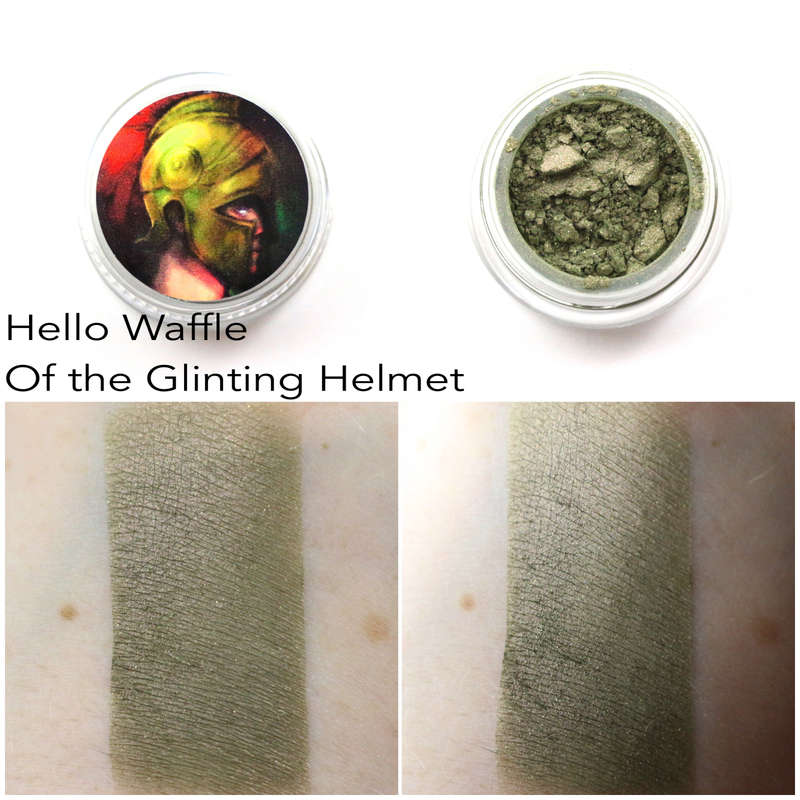 I added some extra swatches to try and better show some of the shifts in these shadows. 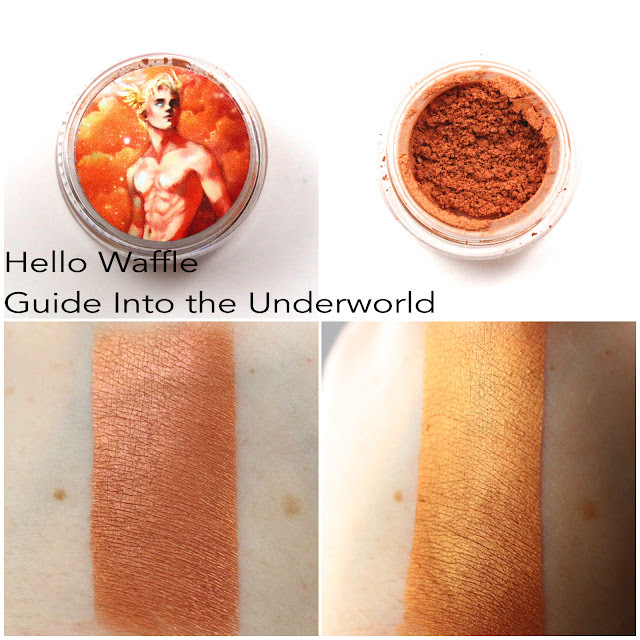 About - Hello Waffle is an indie cosmetics company specializing in beautiful eyeshadow collections, blushes, and lip products, made by Christine, the owner. Hello Waffle is based in Canada, and currently has collections inspired by Archer, Fringe, famous musical composers, cats/literature, and a collection celebrating reaching 1000 Facebook likes. She also offers seasonal fairytale inspired collections that can be purchased in the season they are inspired by. Shipping - My order shipped 10 days after I placed it, and arrived in 7 days via USPS from Canada to California. Product Size - I ordered the collection in full size, but they are also available as minis, or in samples if you purchase the whole collection. The WaffleBalms are only available as full size. 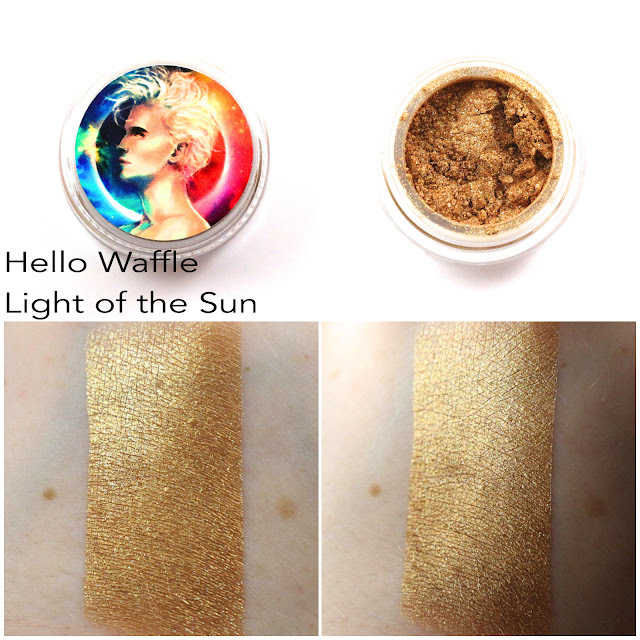 Free Samples - My order came with the two mini gift with purchase shadows, along with a free WaffleBalm in a flavor that is currently not available on the website. I hope that it will be releasing soon. 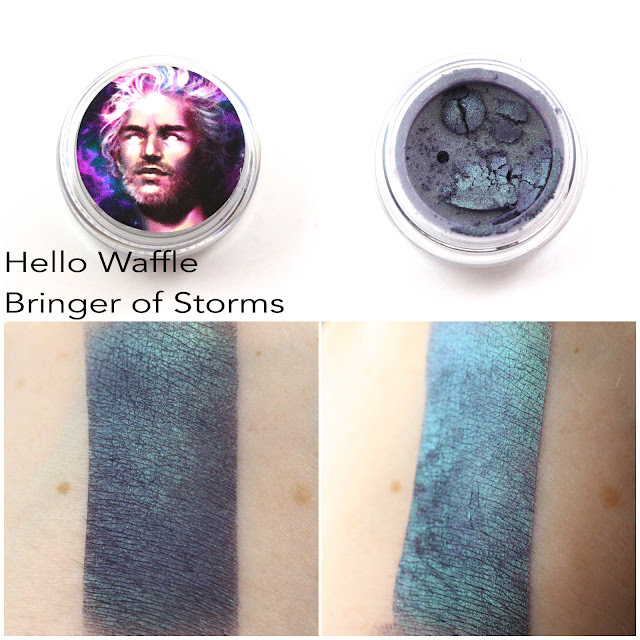 All swatches are done over Too Faced Shadow Insurance primer. 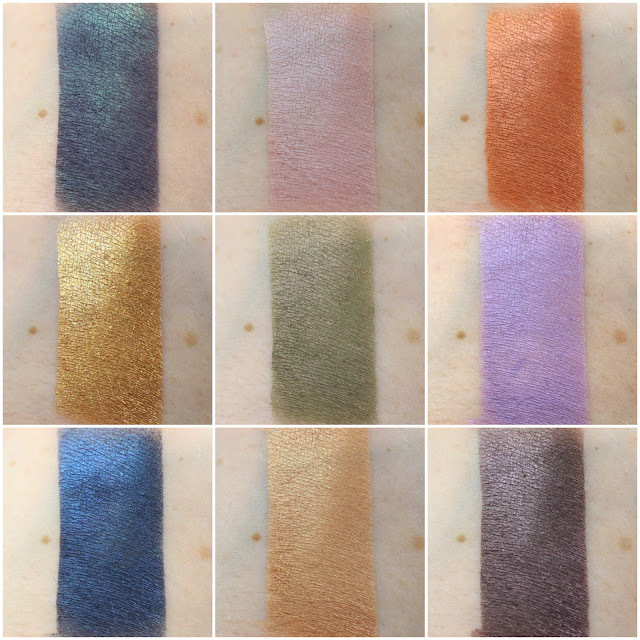 I did some extra swatches under direct light to better show some of the shifts a few of these shadows have. It worked better for some than others, but I found it was hard to see the shifts sometimes for my normal swatches. Bringer of Storms - (Zeus) "Stormy purple with a barrage of green to blue shift." This is basically holographic and goes from blue to purple depending on the angle and lighting. It's a bit hard to capture in a photo, but I assure you it's probably the strongest duochrome of the bunch. Goddess of Love - (Aphrodite) "Pale dusty pink with silver to green to blue shift." It's a bit hard to see, but there is a ton of tiny blue sparks in this one, and under direct light it has a bit of a blue glow. But I love that it's subdued enough to be worn everyday, for all occasions. Guide Into the Underworld - (Hermes) "Dark orange with red to gold to bronze shift." This one is kind of metallic and it makes me forgive that it's orange. Definitely had a golden sheen, and it's just stunning under direct light. Probably my favorite of the bunch for my second swatch style. Light of the Sun - (Apollo) "Intense metallic gold with a subtle red to blue shift and an explosion of blue and golden green sparkle." This has a ton of sparkle, blue, yellow, and maybe a few others. It's extremely smooth and metallic, almost like liquid gold. I don't have many really sparkly gold shades, so this will make a nice addition to my collection. Of the Glinting Helmet - (Ares) "Dark helmet green with red to orange to pink shift." This one kind of fell flat for me, it's like an army green with red sparks, but not really any sheen. It almost looks matte even though it's probably closer to a satin finish. 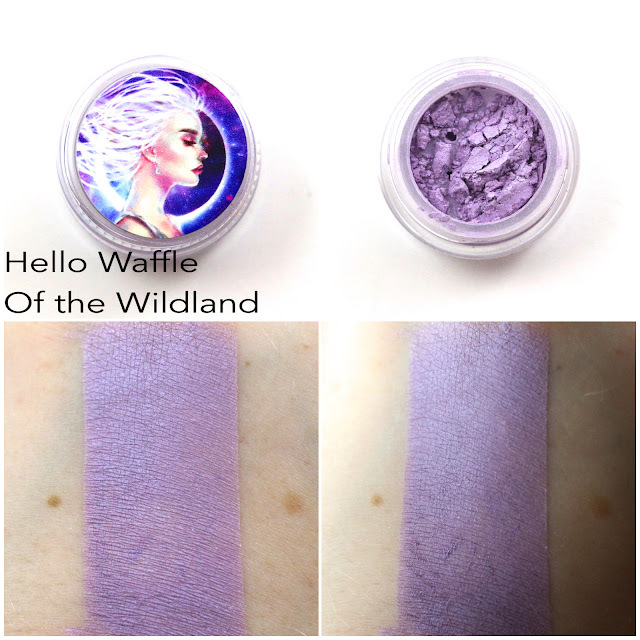 Of the Wildland - (Artemis) "Light lilac with pink to blue shift and a twinkling of pink and purple shimmer." Pale lavender with blue and purple sparkles. Again, this looks almost matte but is kind of a satin. Not really any sheen. It's a bit sheer as well. 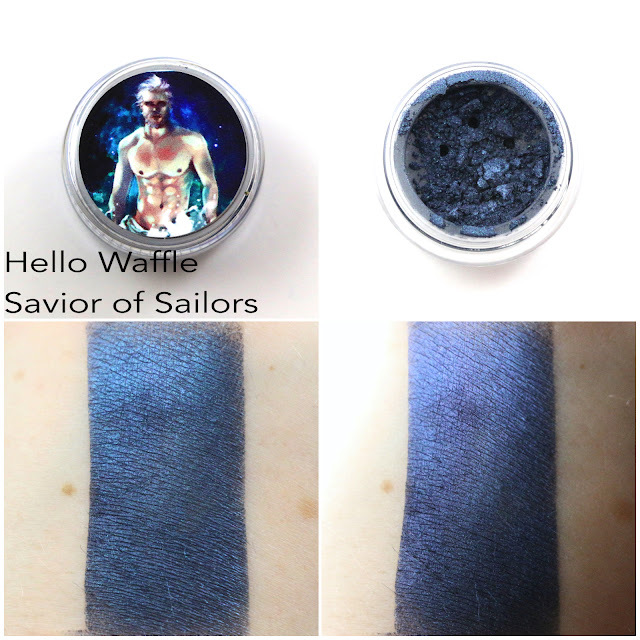 Savior of Sailors - (Poseidon) "Glowing sapphire with turquoise to blue to violet shift." A very dark metallic navy blue, with a bit of a blue sheen. Not much sparkle, but I have been loving colors like this for eyeliners lately. 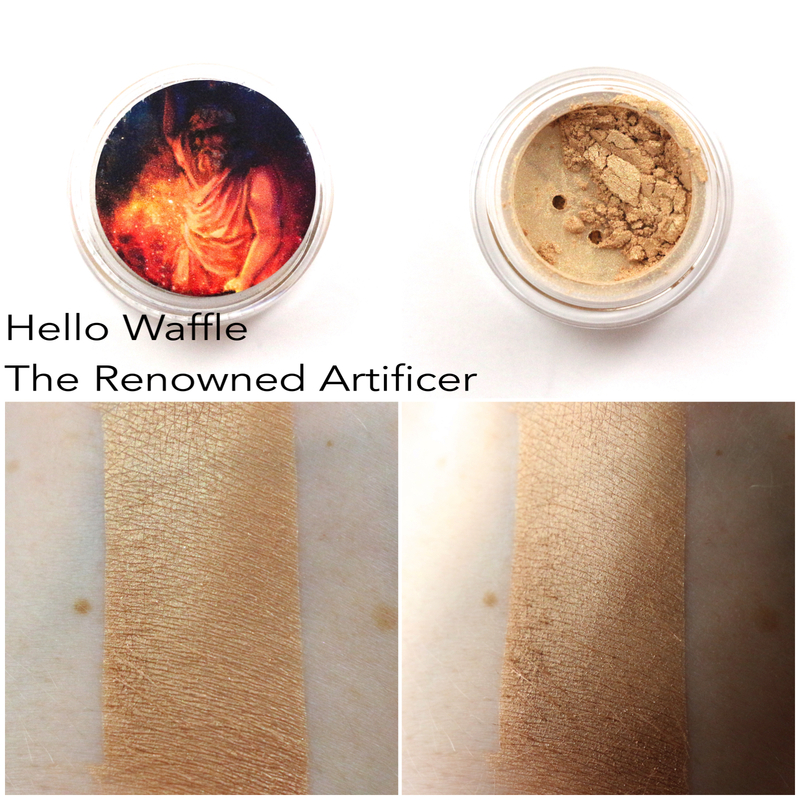 The Renowned Artificer - (Hephaestus) "A shimmering golden tan with green to red shift." This one is kind of a taupe gold with green and pink sparks. It's also very metallic, and had a bit of a sheen. The Unseen - (Hades) "An inconspicuous brown with silver-green to silver-red to green-gold shift. Some sparkle." Kind of a dark brown/gray base shade with a purple sheen and green sparks. I just love that Christine didn't make a black base shadow for this collection, as I find this shade way more appealing. I think in certain lights it could also look like a gunmetal gray, so this would be great all over for an untraditional smoky eye. Obsidian Butterfly - "A dark mauve leaning purple with copper hilites." The base shade looks really similar to The Unseen, but with a red duochrome instead. Very nice, this will be another great eyeliner. 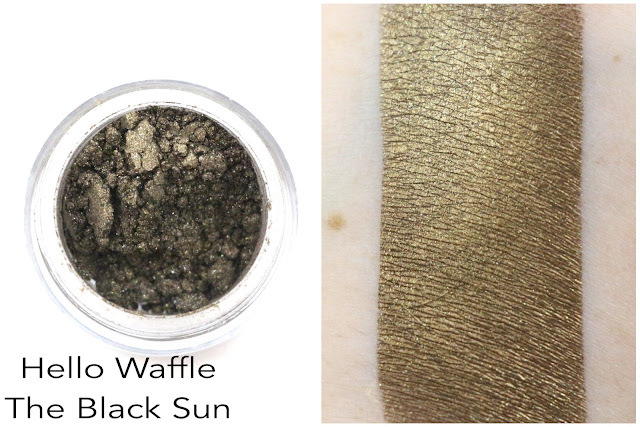 The Black Sun - "A blackened metallic golden brown with sparkle." This looks like a dark green/brown base shade with a strong golden shift, and gold sparks. Very beautiful, and combined all together it gives it a metallic olive green effect. Belgian Waffles - "Waffles drizzled in heaps of maple syrup." This one smells really authentic, just like waffles and syrup. It seems to be the crowd favorite, but it's not my favorite. A little too sweet for me. Coconut Vanilla - "Sugared coconut and sweet vanilla." This one is probably my favorite, it's a nice balance between the coconut and vanilla. It's a perfect scent for summer. I do really love the formula for these. They are wax based instead of oil based, and no matter how much I love my other balms that are coconut oil based, they just don't seem to moisturize and hold in the moisture as well as a wax based balm. It makes them a little more solid than oil based formulas, but I definitely prefer it. It's not as glossy, and seems to stay in place better for me. As much as I love my other indie balms, this formula trumps them all. It's absolutely my new favorite lip balm, and I can't wait for more flavors. Mango Peaches and Cream - "Juicy peaches, ripe mangoes, and a dollop of whipped cream." This flavor isn't as fruity as I imagined it would be, it seems to be predominantly mango for me. It's another good flavor for summer, but I don't think as good as the coconut vanilla. This was a free sample with my order, and it's not a flavor available for sale. I'm not sure what the flavor is supposed to be comprised of, but it smells like a mix of coconut and maybe mangosteen. Possibly passion fruit. It's nice, I hope this is a flavor coming soon to the website. Overall, I was a bit disappointed that the shifts in the Greek Gods and Goddesses collection didn't show up as well as the descriptions say. 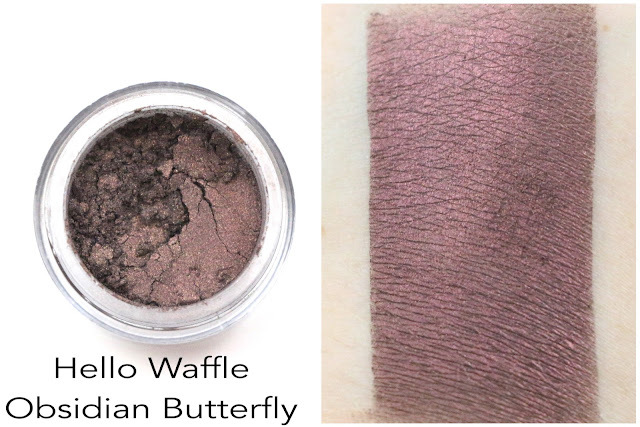 I had the feeling I would think that after I read some reviews and saw some swatches that just didn't quite capture the shifts in the descriptions. I think it's a nice collection overall, just not what I was expecting or hoping for. And maybe the shifts would be more obvious over Pixie Epoxy, which is what I tend to use myself. I do like that there's a nice range of colors, but I wish there were a few other shades to mitigate the two purples and the two golds. 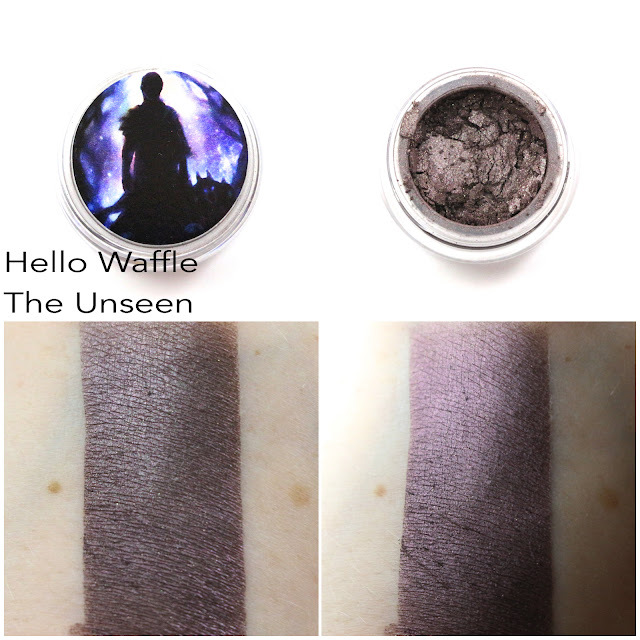 I remember Christine mentioning that she wanted this to be kind of an end-all-be-all collection for beginners, something people could get and have a nice starter kit to indie shadows. I think it accomplishes that well, you could create a lot of looks with these shades. And the gift with purchase shades are very nice, I hope they do eventually become a mini collection like was mentioned might happen. And the WaffleBalms! I absolutely love them, I think they might be my new favorite indie lip balm. 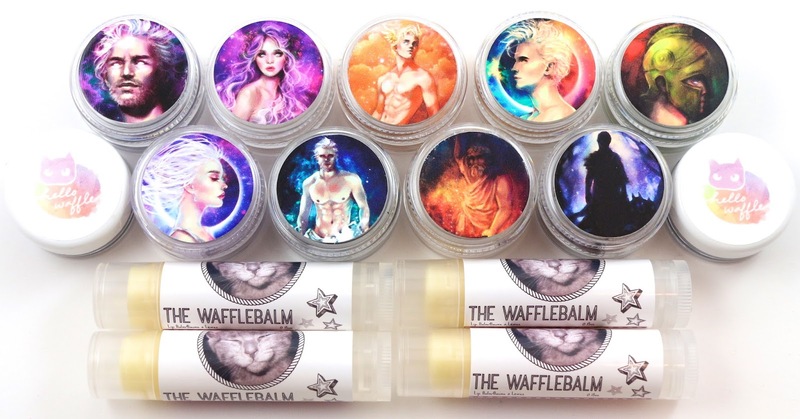 Availability - The Greek Gods and Goddesses collection is permanent, and so are the WaffleBalms. Overall Satisfaction - My favorite shades are Bringer of Storms and Light of the Sun. 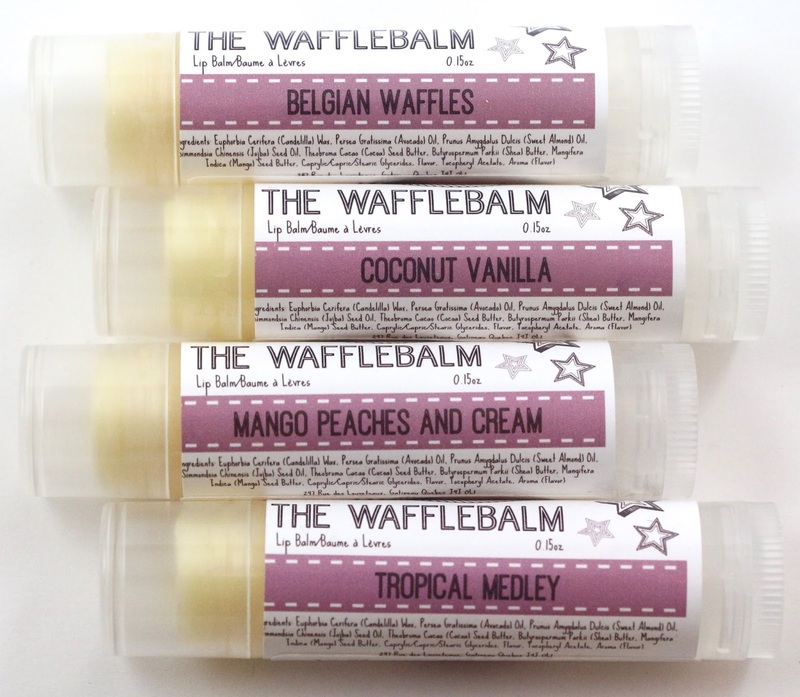 And my favorite WaffleBalm was the Coconut Vanilla flavor. 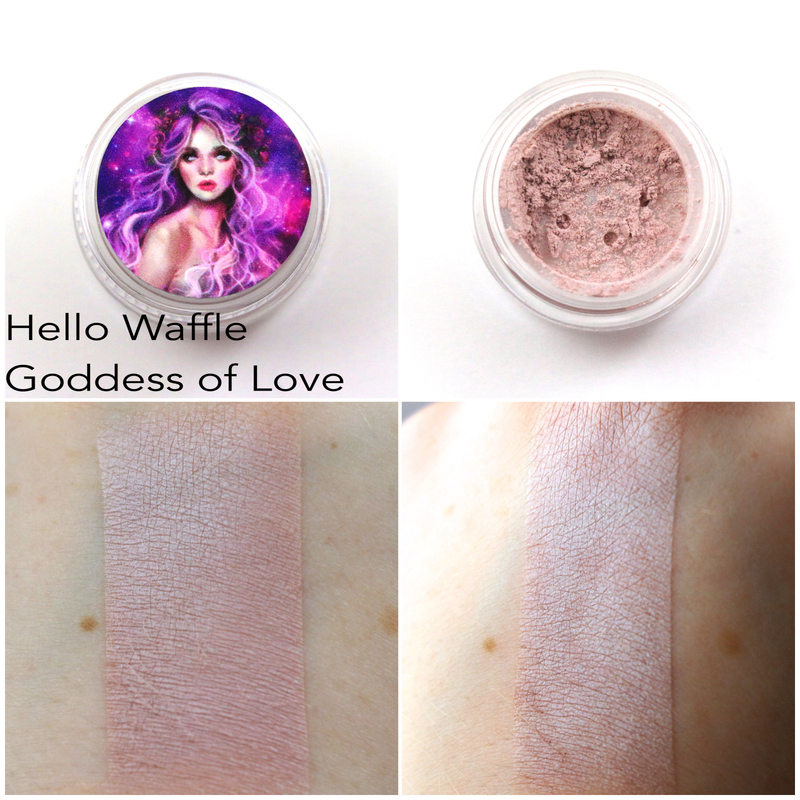 What did you think of the Hello Waffle Greek Gods and Goddesses collection and WaffleBalms? Let me know in the comments! So glad I chose Coconut Vanilla as my lip balm in my last order! It's awesome! It's the one I reach for just about every day since I got it!